It appears the the Kitchener Aud is hosting a lacrosse tournament just prior to the Maker Expo and won’t have time to take down the rink boards between the two events. As a result there will be less space available in the arena, but the Expo will now have use of the Kiwanis arena as well as the original Kinsmen arena. 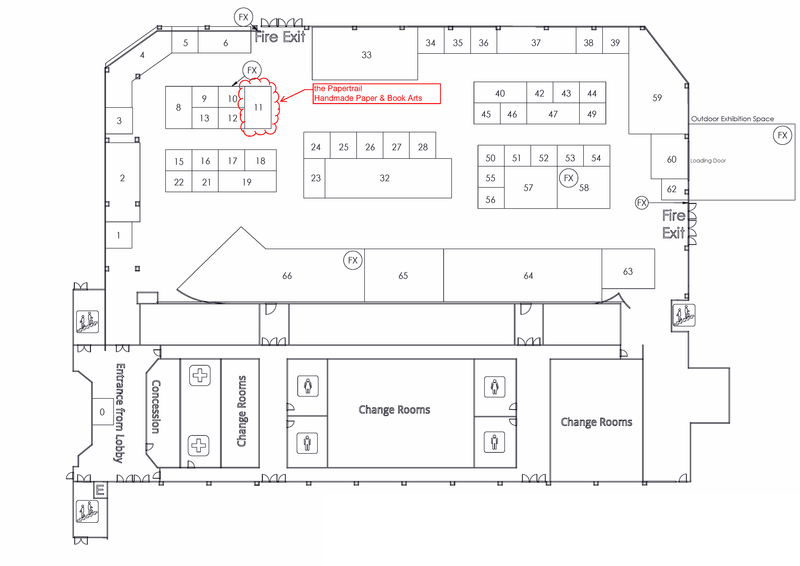 The floor plan has changed substantially, but I’m not going to make yet another map showing where we are because (although our booth number is now #22) we are still essentially in the same location—in the Kinsmen arena at the end of the row of booths along the center of the arena near the main entrance. It turns out we can sell items at this event, so we will be using our second table to sell some of our marbled and handmade paper.